Have you ever dreamt of becoming the KOM? Climb 5500 meters cumulative elevation in July and you will get a chance to ride one of Tirol’s premier and most challenging races, the Otztaler Cycling Marathon. First prize: 3 invitations to the Otztaler Cycling Marathon in Sölden (Austria). Additional prizes: Eurosport Player subscriptions. 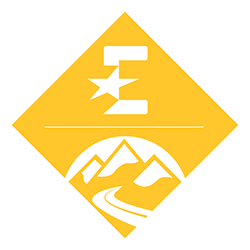 All riders who complete this Challenge will earn the Peaks challenge badge in their Trophy Case. The prizes are open to any person above the age of 18 years, being suited to the practice of cycling, and residing in the following countries: Albania, Andorra, Austria, Azerbaijan, Belgium, Belorussia, Bosnia, Bulgaria, Croatia, Cyprus, Czech Republic, Denmark, Estonia, Finland, France, Georgia, Germany, Hungary, Ireland, Kazakhstan, Latvia, Lichtenstein, Lithuania, Luxembourg, Macedonia, Malta, Moldavia, Monaco, Norway, Netherlands, Portugal, Russia, Romania, Serbia, Slovakia, Slovenia, Spain, Sweden, Swiss, Ukraine, United Kingdom. If you are not residing in one the countries listed above, you can still take part to the challenge to collect your special Eurosport badge for your trophy case. You have to climb 5,500m cumulative elevation in one month. To learn how elevation gain is calculated for your activity, visit this Knowledge Base article.